It’s official. We love coupons. All of us. According to data compiled by experience optimization specialists, Invesp, 60% of the public ‘love’ receiving digital coupons, with the estimated number of users of mobile coupon users set to exceed one billion by 2019. Invesp goes further to estimate that over 30 billion digital coupons will have been redeemed worldwide by 2019 while emails that contain coupons have shown to increase revenue per email sent by 48%. The figures point to a world obsessed with bargains, and one that’s happier for it. 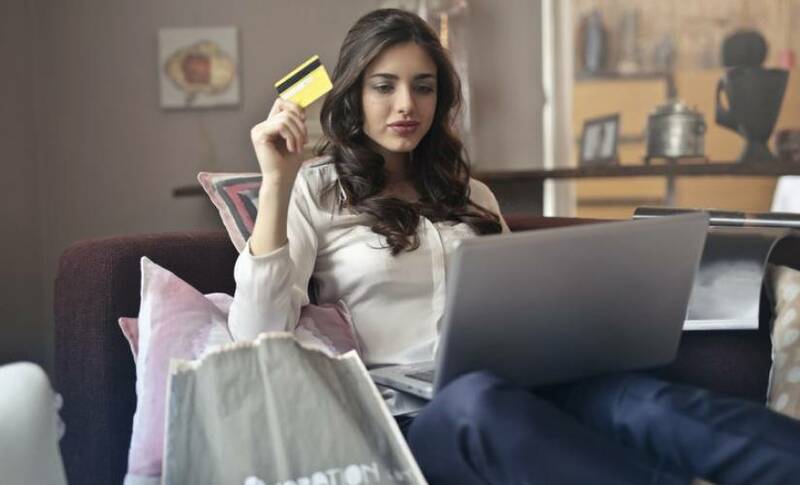 There’s little doubt that the future’s bright for online coupon marketing, but how will the industry be influenced by the technological advancements of the near future? The influence of AI has already been felt across online customer service industries, with machines improving customer interactions worldwide with instant, personable help available for many companies through intuitive chatbots. Now we’re beginning to see how it’s set to shape the coupons market in the coming years. The future of digital coupons is one that’s bespoke. The level of information we learn from customers is highly useful for plenty of reasons. There’s not only the prospect of learning what to target customers with but also gaining an understanding of their behaviour in order to optimise future marketing campaigns. By using Facebook’s Pixel, marketers already have the power to understand what products website visitors are most interested in buying. If said visitors are new to your site, then it’s possible to automatically send relevant coupons for the product as a form of incentive for new customers. Returning customers can also receive bespoke offers straight into their inbox if they’ve opted into receiving communications from your business. One of the most significant new advancements in recent years as far as AI in customer-facing business is concerned, is the emergence of chatbots. These nifty new tools can alleviate much of the slack from human customer service operatives and react instantly to a person’s behaviour, mannerisms, and even process intricate information with ease to return informative answers to complex questions and troubleshooting queries. The role chatbots can play in creating a more personable digital coupons marketing industry isn’t to be underestimated. The future of coupon marketing lies away from the old norms. Where physical coupons with online codes and vouchers once ruled the roost, the internet is becoming much more conversational. Chatbots will be able to react in real time to a customer’s interests, intent and behaviour to produce personalised online coupons that can be delivered via a redeemable QR Code in-store or through a specific discount code. The rise of voice-activated assistants like Google Home and Amazon Echo are posing both problems and solutions for the future of coupon marketing. Such technology challenges marketers to think of a method of bringing people coupons through all shopping outlets. This was a problem that Google and American retail store, Target, have already worked on providing a solution for. In April 2018, a voice-activated $15 discount on Target orders placed through Google Express was introduced to trial the effectiveness of voice coupon codes. To get the offer, users had to say the phrase “spring into Target,” before their Google Home device redirected them to the offer. While the monetisation of voice search functions remains uncharted territory, the potential is great – as confirmed by the Target representative of the aforementioned offer, who told Adweek that the campaign hit its targets early. As can be seen with Google and Target’s trial coupon code, the idea of using a phrase as a verbal buzzword to unlock offers adds a personable element that’s otherwise missing from the old-fashioned approaches to the coupon marketing. AI Technologies like voice assistants and chatbots can go beyond offering new platforms for bringing coupons to customers. Such services are able to learn about their users’ behaviour and help inform business decision makers about which products would be strategically best to provide discounts based on individual cases, which will maximise the effectiveness of coupon usage. Currently, shoppers are missing out on over 300 billion coupons. For instance, in 2015, out of 321 billion issued coupons, only 2,5 billion were redeemed. This fast, responsive machinery has the potential to design codes based on, and specifically for, the customer that’s using the tool. This means that the AI can identify a propensity from the user it’s interacting with towards a specific product and create deals based on complex supply algorithms that can encourage the sale of a lesser performing product. For example, if a clothing company’s customer service AI acknowledges a customer’s interest in a pair of shoes, it has the potential to instantly detect a similarly coloured belt that’s not reaching sales targets and offer an overall discount if both products are bought together. The technology will be capable of instantly generating a bespoke code for said customer to use in the checkout process. The marriage of voice technology and online coupon marketing will be essential for the future, with a study by ComScore predicting that 50% of all internet searches by 2020 will be conducted by voice. This points to the inevitability of a future reliance on AI to provide our digital coupons to us. The next big winners in coupon marketing will be the businesses that are quickest to adapt to this new change in e-commerce.